The Frick Art & Historical Center houses the estate Henry Clay Frick and his family occupied in Pittsburgh for more than two decades before they moved to NYC in the early 20th century. Schwartz/Silver’s projects for The Frick Pittsburgh include the Grable Visitor Center; the Education and Community Centers; and expansion of the Car and Carriage Gallery. 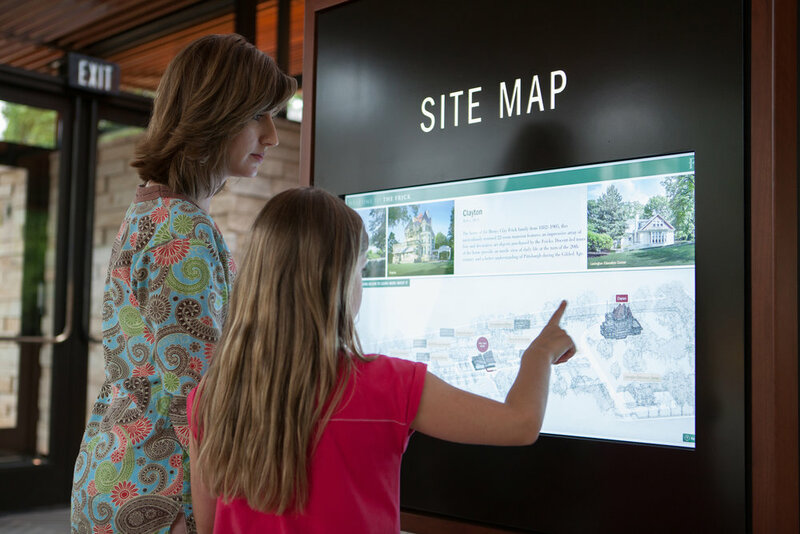 The Visitor Center is a glass-walled, 3000 sf building that provides a gathering point for tours, interactive displays for exploring the Frick and its collections, as well as visitor amenities such as the Museum Store and learning lounge. 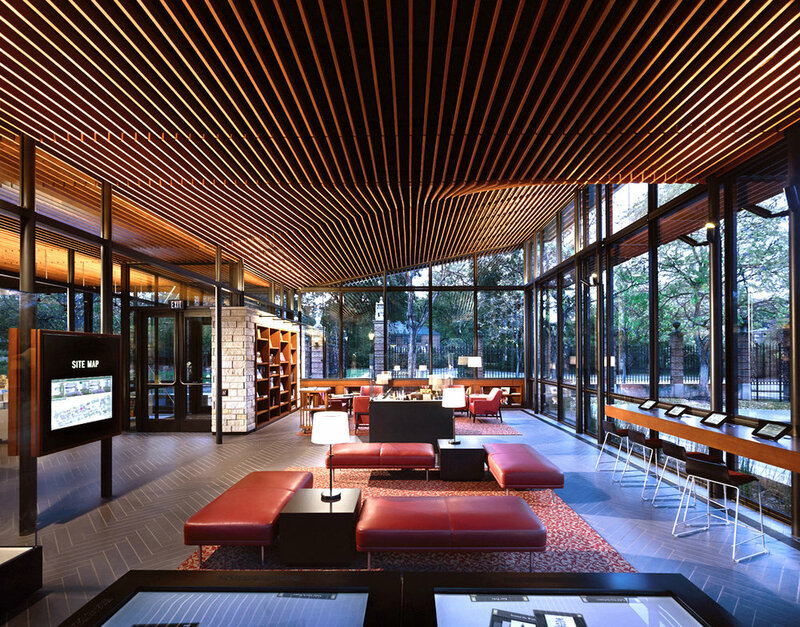 The building’s roof changes in pitch to reflect the shifting scale of buildings on campus, while the herringbone flooring and cherry wood ceiling reference materials from Clayton, the museum’s historic estate.